MusicMan guitars and basses are some of the finest guitars and basses around, but if you head out to buy a new one, it is going to cost you well over $1000. The licensed OLP models were really cheap, but they were not even close in quality to the American-made products, so the folks over at Ernie Ball / MusicMan developed their own SUB series of guitars and basses. They were introduced at the 2003 Winter NAMM show. The idea was to have an American-made instrument with the same sound and quality for under $1000, and it worked. There were 4 and 5-string Stingrays, Sterling basses, and 1 and 2 pickup guitars. Of course, some things had to be changed to get the price point down. The bodies were made of poplar, and had no contours. Also, they had a textured finish, which was easier to make and required no polishing. They were available in Black, White, Teal, Red, Blue, Graphite and Cinnamon. The basses originally had a faux diamond plate pickguard that was later changed to matte black. The necks were made of maple, and were finished in black, so they could use wood that maybe was not so visually appealing. The hardware was similar to what you would ordinarily find. But (at least on the basses), they were not marked, so I imagine the tuners were not made Schaller, and the bridges were a little different. The electronics were almost the same with a few exceptions. The Stingray 4 and 5 strings had 2-band equalizers, and could be had in active or PASSIVE models (a first for MusicMan). The Sterlings were only available as an active bass. The idea worked out well. The instruments played well, and were a great value for the money. Sadly, high costs and low sales made this product untenable, and production of the SUB line was stopped in 2006. Great review of the SUB line of EBMM instruments! A great example of who the line was aimed at would be myself, whose Sound isn't the "Music Man" tone ("My Sound" is far more of a Single Coil/J-Bass, both in "pure" Jazz-style basses such as my Mike Lull Modern 4 & 5s & my 4 Spector Euro Bolt-Ons which have the bolt-on "punch" of a J-bass as well as custom Nordstrand "Big Single" Single Coil pickups & Aguilar OBP-3 preamp I've modded them with for even more of a Spector-meets-Jazz Bass tone) but realize as someone with a large amount of "Sideman" and Session gigs that the StingRay/Sterling sound is one of the unique tones in the world of Bass and I should really have it in my Toolbox. Not willing to spend between 2-3K (dependent on Used or New purchases, and for 2 basses dependent on either a 4 & 5-string or 5 fretted & fretless) finding my SUB Sterling "Near Mint Used" for a steal of a price (so low I was able to buy off the wall as opposed to going home to ask the Wife ;-) at my local shop was a fantastic purchase for what turned out to be a somewhat rare model: a SUB Sterling in Textured Cinnamon, the Rust Red/Green/Gold "flip-flop" finish that was the SUB version of the John Petrucci signature "Mystic Dream" color-shifting paint (as shown in the SUB 2 Guitar pictured above) in which EBMM as stated is one of less than 100 made in that finish as it was the last one put into production before the line was discontinued. Over the years as the Wife and I have had several moves the SUB Sterling stayed unpacked as my "Beater Bass" when my Spectors & Lulls were packed for and after moves and I've had time to play her a great deal and have the Music Man Sound grow on me (to my ears it's like a P-Bass but with far more midrange, which is the whole reason I'm a J-Guy and not a P-Guy: I find the Precision tone "hollow" in the mids whereas I'm all about full-sounding midrange). And as a mainly 5-string player I eventually wanted a SUB 5, in which I just found *another* STEAL of a "hardly Used" Bass and have owned and am very much enjoying for the past few weeks. I've been able to purchase both my Sub Sterling & SUB 5 for less money combined than I could buy *1* used StingRay or Sterling and able to get 95% of the sound, playability and quality their "Big Brothers" have. 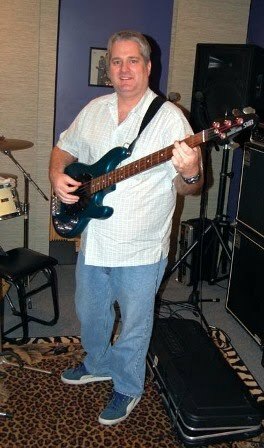 ...I've also played all of the newer "Sterling By Music Man" import midrange line, and while they're still extremely high quality basses at their price-point, I truly think that as long as you don't mind the "textured" finishes and matte-painted necks the USA-made SUBs are better instruments at a better price. And one of the small Visual positives is that the SUB 5s pickguard is simply an enlargement of the oval 4-string version as opposed to the extra-large "Teardrop" on the StingRay that covers up much of Music Man's beautiful transparent and paint finishes!